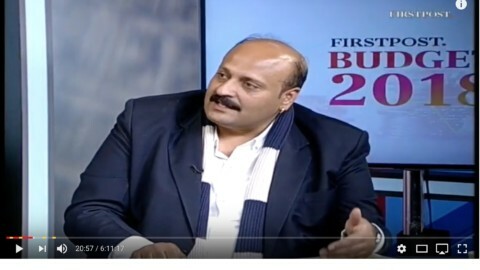 Political conversations across the country in the last few weeks have been heavily focussed on the country’s recent economic under-performance. Economic growth has been consistently falling over the last six quarters amidst dipping investment sentiments with no respite in sight. 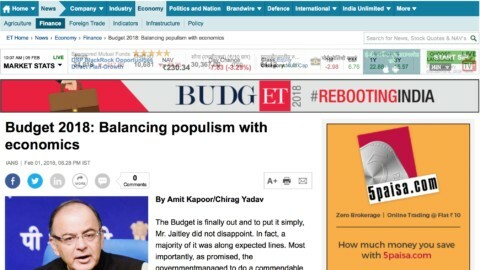 Credit rating agencies have lowered India’s growth predictions and the government seems to be grasping at straws to reverse the growth trends. However, since gross domestic product (GDP) is such a concise term and quite easily understandable, in its obsession, we lose sight of the fact that there are other equally crucial elements of development within a nation. Expansion of individual capabilities needs to be the ultimate goal of development. 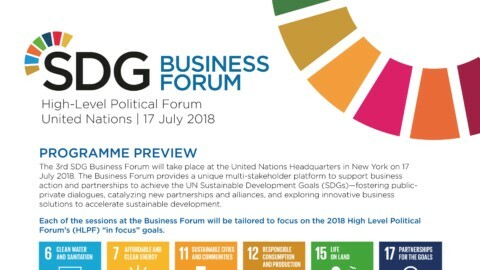 These capabilities, which are not always economic, encapsulate aspects such as improvement of basic human needs like shelter and basic medical care; foundations of well-being like access to basic knowledge and healthy environment; along with equitable provision of opportunities like personal freedom and choice. Economic growth is merely a narrow way of quantifying development and mostly a means to achieve the capabilities outlined above. Therefore, there needs to be an indicator that is broader than the GDP for a better development vocabulary of the nation; a number that combines the simplicity of GDP and the complexity of reality. 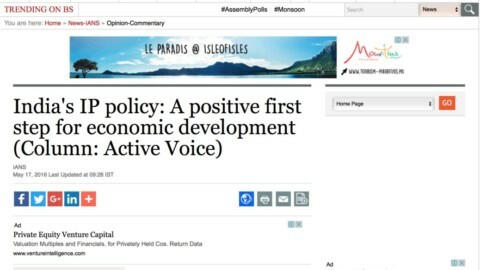 Also, unlike the Human Development Index (HDI), it needs to isolate the effect of economic change to better understand the relationship of social progress with economic one. 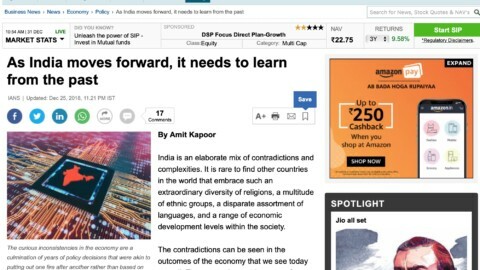 With this aim in mind, the Institute for Competitiveness has expanded the use of the Social Progress Index (SPI), which is annually measured on a global level, to the level of Indian states. 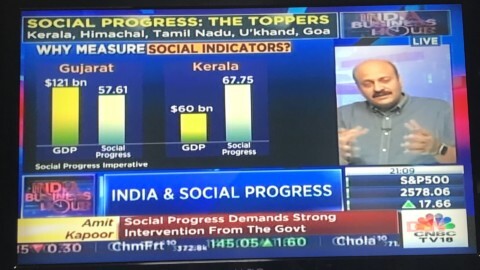 Social Progress Index: States of India present a decadal progress of Indian states on social parameters despite their varied economic standings by using a combination of 54 indicators to obtain that one simplistic figure. The analysis brings out some interesting insights. The first major finding comes from the relationship between economic and social progress. It might seem intuitive that economic progress begets social advancement. As people earn more money, they obtain higher capability to purchase social goods. However, our findings poke some holes into this intuitive logic. First, economic performance cannot fully explain social progress among states. To be precise, per capita income can explain only about 50 per cent of the SPI scores. This is seen in instances like that of Chhattisgarh, which has attained a higher SPI score than Rajasthan despite having lower per capita income levels. Second, even though the relationship between the two is positive and significant, it not exactly linear. We found that at lower levels of income, a small change in per capita income levels can lead to higher incremental changes in SPI scores compared to that at higher income levels. 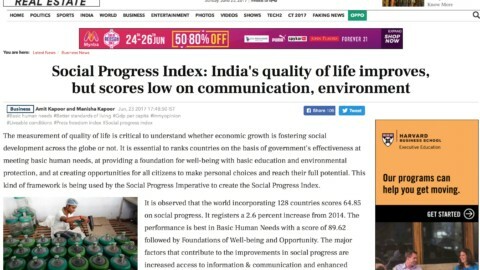 The second major finding of the Index is that Indian states are better at provision of basic human needs rather than opportunities to their citizens. Therefore, creation of a society where opportunities are distributed more or less equally still remains an elusive dream. On a positive note, however, the score for opportunities has displayed the highest increase in the last decade followed by the other two pillars of SPI, basic human needs and foundations of well-being. Finally, the third significant finding from the Index is that the greatest improvement in social progress within states has been in areas which are highly correlated with economic progress. On the contrary, areas with weak correlations to economic progress have seen a decline in performance or stagnation. This is clearly due to the disproportionate policy focus on economic parameters that we are currently noticing as well. Such a trend indicates that it is necessary for states to directly focus on social advancement alongside economic progress. A lopsided focus on economic parameters will result in the same lopsided outcomes. The Index further carries detailed state-specific observations, which can be quite helpful for state-specific policy making. All of these findings from it underline the fallacy of obsessing over economic numbers and believing that social progress will automatically follow. On the contrary, social progress needs to be stimulated and that too not with a generic approach. An all-encompassing national policy cannot be effective since each state has a unique social deficiency. There is an urgent need among Indian states to dynamically track social parameters and act upon the ones in which they are lagging behind. Finally, it should be pointed out that the Index is not an end in itself. It is only aimed to highlight key challenges across Indian states and to inculcate a spirit of competition among them to improve their social outcomes. 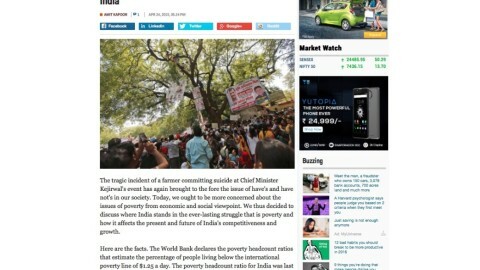 The Index hopes to start a conversation around the existing social problems within Indian states, but the approach that they need to adopt is a matter of further public discussion and debate. 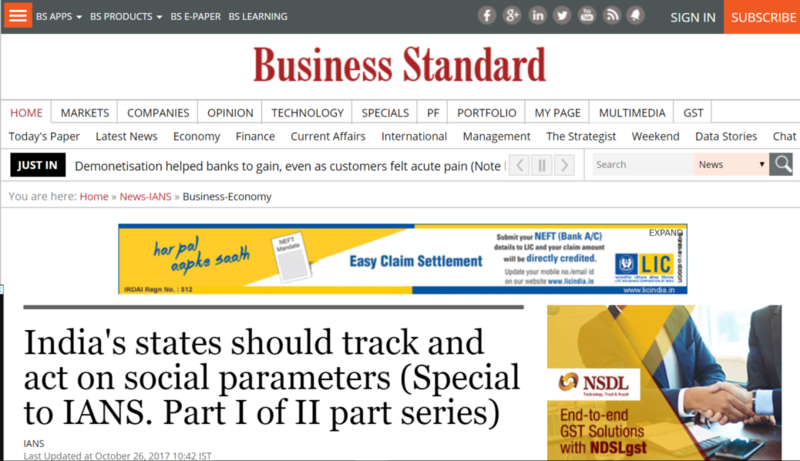 This article was published with Business Standard on October 26, 2017.